Yes! 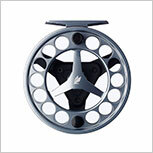 I want to make fishing better. 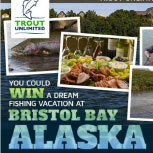 Please sign me up for a full year of Trout Unlimited member benefits including TROUT Magazine, chapter activities, discounts on travel and fishing gear, opportunities to win trips, prizes and more! Billing information is the same as contact information. Yes! I'd like to donate an additional $10 $25 $50 $75 $100 $500 to further help support TU's efforts. To donate by phone, call toll-free 1-800-834-2419, 9:00-7:00 Eastern. Your contribution, minus the retail value(s) provided above for any gift(s) you choose to receive, is tax deductible for federal income tax purposes. 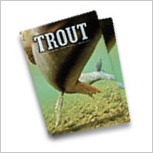 Trout Unlimited, Inc. is a 501(c)3 charitable organization and your donation is tax deductible to the extent allowed by law.